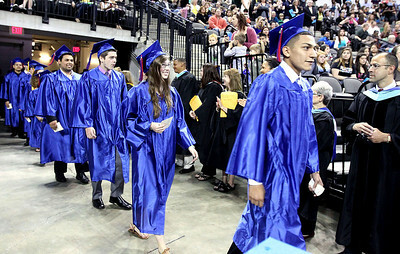 Jeff Krage - For Shaw Media The Dundee-Crown High School processional during Saturday's graduation ceremonies at the Sears Centre in Hoffman Estates. 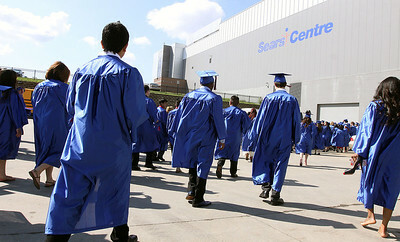 Jeff Krage - For Shaw Media Dundee-Crown High School seniors make their toward the Sears Centre before the start of Saturday's graduation ceremonies in Hoffman Estates. 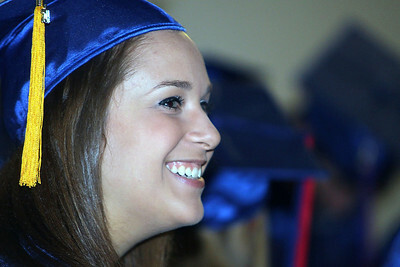 Jeff Krage - For Shaw Media Dundee-Crown High School graduate Alexandria Hawkey smiles during Saturday's graduation ceremonies at the Sears Centre in Hoffman Estates. 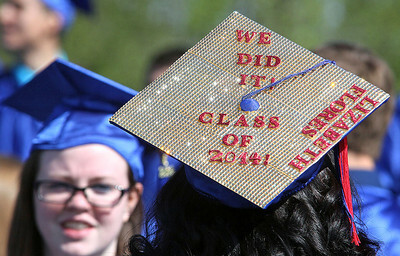 Jeff Krage - For Shaw Media Dundee-Crown High School graduate's (left to right) Daisy Luna, Briasha Mabry and Maria Machuca shares a laugh before the start of Saturday's graduation ceremonies at the Sears Centre in Hoffman Estates. 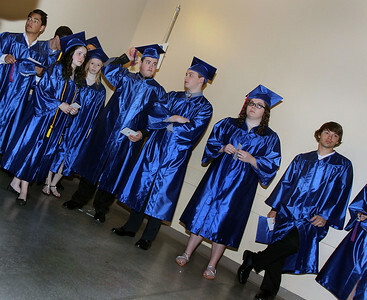 Jeff Krage - For Shaw Media Dundee-Crown High School graduates wait under the concourse for the start of Saturday's graduation ceremonies at the Sears Centre in Hoffman Estates. 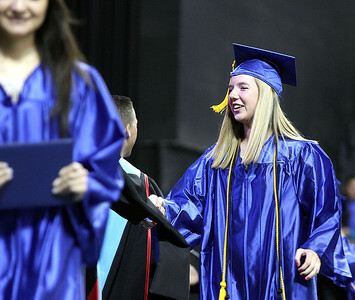 Jeff Krage - For Shaw Media Dundee-Crown High School graduate Katelyn Aschacher receives her diploma during Saturday's graduation ceremonies at the Sears Centre in Hoffman Estates. 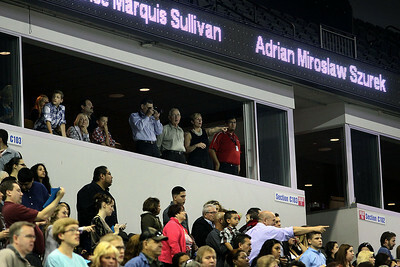 Jeff Krage - For Shaw Media Families watch the Dundee-Crown High School graduation ceremonies on Saturday at the Sears Centre in Hoffman Estates. 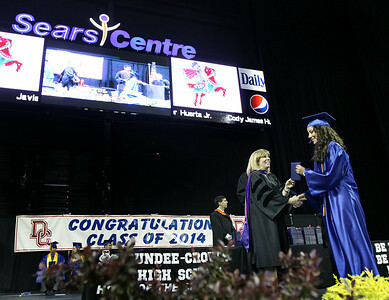 Jeff Krage - For Shaw Media Dundee-Crown High School graduate Stacy Carreon receives her diploma during Saturday's graduation ceremonies at the Sears Centre in Hoffman Estates. Jeff Krage - For Shaw Media The Dundee-Crown High School graduation ceremonies on Saturday, May 17, 2014 at the Sears Centre in Hoffman Estates. 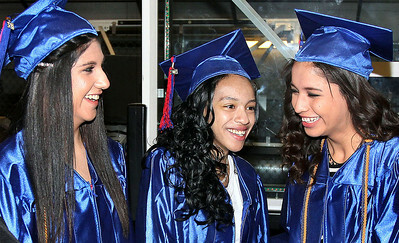 Dundee-Crown High School graduate's (left to right) Daisy Luna, Briasha Mabry and Maria Machuca shares a laugh before the start of Saturday's graduation ceremonies at the Sears Centre in Hoffman Estates.